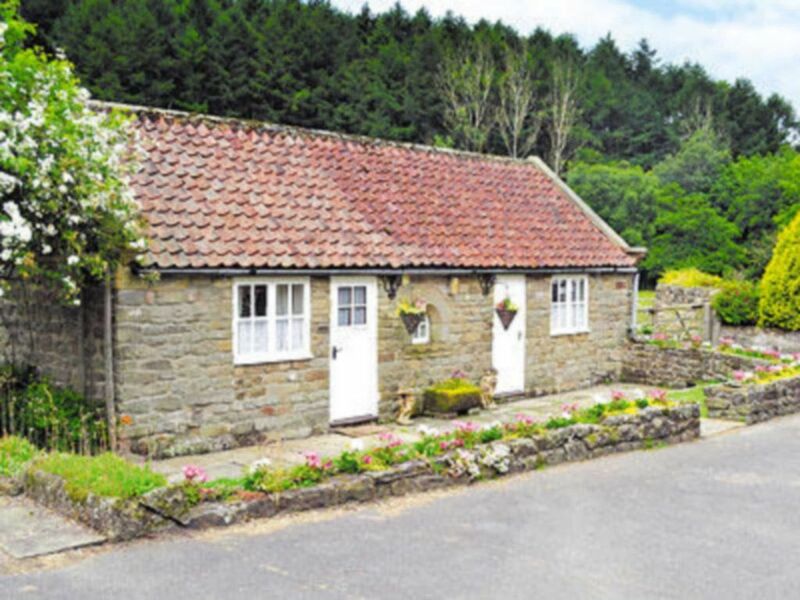 A charming cottage with a shared hot tub, located within the North York Moors National Park and close to Rievaulx Abbey. Within the North York Moors National Park, in a sheltered wooded valley close to the magnificent ruins of Rievaulx Abbey, these spacious, comfortable and well-equipped holiday cottages (refs W43183, W43184 and W43185) stand in a landscaped courtyard, close to the owner’s farmhouse. Enjoy farmhouse breakfasts at Laskill Grange, or across the drive at Laskill Country House, the owners’ daughter offers home cooked evening meals or ready prepared frozen meals. There are 70 acres of beautifully tended grounds and a shared terrace garden with its small lake and river frontage. The surrounding countryside views are superb, and there is excellent walking from the doorstep. Long distance footpaths along this area’s Heritage coastline, and the Cleveland Way, offer perfect terrain for walkers and cyclists. Visit Ryedale Folk Museum and Rosedale Abbey, or for a day out, try the North York Moors Railway. Whitby has miles of sandy beaches and an ancient abbey overlooking its harbour. Scarborough, Staithes, Runswick Bay and Sandsend are within 20 miles. Horse racing at Thirsk, Wetherby and York, 25 miles. Helmsley has Duncombe Park and a castle. Shop, pub and restaurant 2 miles. Electricity and electric heaters included. Electricity included (£25per week, £15 per short break October-April). Laundry service at cost. Parking (2 cars). ADDITIONAL INFORMATION for W43185 only - A laundry service is available.IMPORTANT INFORMATION FOR ALL PROPERTIES at Laskill Grange: Offers Wi-Fi, in the main farmhouse, this facility cannot be guaranteed to be available at all times due to the unpredictability of Service Providers. There is a designated area in the conservatory of the main house which is for guest. All properties are serviced with a private water supply and there is a small lake and river frontage within the gardens. ADDITIONAL CHARGES for all properties at Laskill Grange - There is a fuel supplement from October to the end of March of £25 per week and £15 per short break. This is payable on arrival. ADDITIONAL INFORMATION for all properties at Laskill Grange - There is a shared hot tub and freezer available. Please be aware all properies will only accept dogs and have a no smoking policy in place. Highchair available on request, limited availability, please request on booking form.